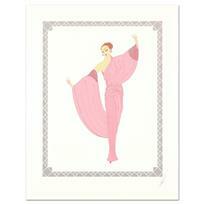 Erte (1892-1990), "Violetta" Limited Edition Serigraph, Numbered and Hand Signed with Certificate of Authenticity. 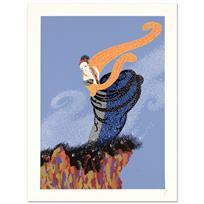 Erte (1892-1990), "Pas de Deux" Limited Edition Serigraph, Numbered and Hand Signed with Certificate of Authenticity. 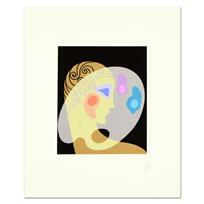 Erte (1892-1990), "Cosmetic Palette" Limited Edition Serigraph, Numbered and Hand Signed with Certificate of Authenticity. 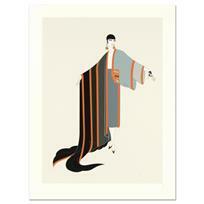 Erte (1892-1990) - "Manhattan Mary I" Limited Edition Serigraph, Numbered and Hand Signed with Certificate of Authenticity. 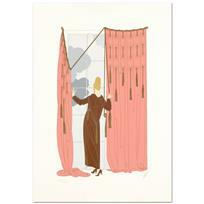 Erte (1892-1990), "Les Poupees Russe" Limited Edition Serigraph, Numbered and Hand Signed with Certificate of Authenticity. 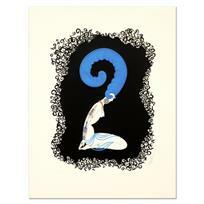 Erte (1892-1990) - "Numeral 2" Limited Edition Serigraph, Numbered and Hand Signed with Certificate of Authenticity. 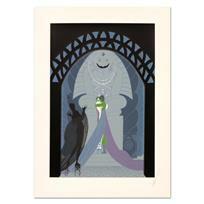 Erte (1892-1990) - "In the Evening" Limited Edition Serigraph, Numbered and Hand Signed with Certificate of Authenticity. 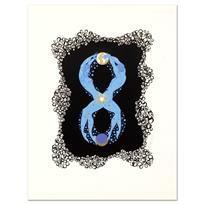 Erte (1892-1990) - "Numeral 8" Limited Edition Serigraph, Numbered and Hand Signed with Certificate of Authenticity. 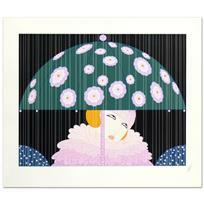 Erte (1892-1990) - "Cloudy Morning" Limited Edition Serigraph, Numbered and Hand Signed with Certificate of Authenticity. 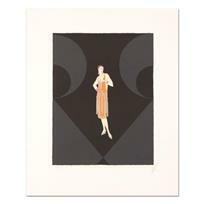 Erte (1892-1990) - "Michelle" Limited Edition Serigraph, Numbered and Hand Signed with Certificate of Authenticity. 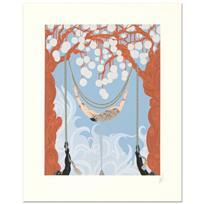 Erte (1892-1990), "Coming of Spring" Limited Edition Serigraph, Numbered and Hand Signed with Certificate of Authenticity. 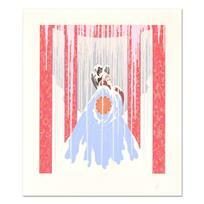 Erte (1892-1990) - "Spider Web" Limited Edition Serigraph, Numbered and Hand Signed with Certificate of Authenticity. 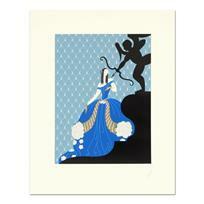 Erte (1892-1990) - "Lovers and Idol" Limited Edition Serigraph, Numbered and Hand Signed with Certificate of Authenticity. 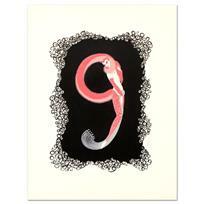 Erte (1892-1990) - "Numeral 9" Limited Edition Serigraph, Numbered and Hand Signed with Certificate of Authenticity. 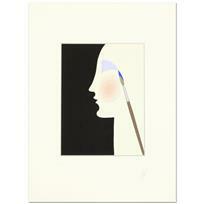 Erte (1892-1990) - "Cosmetic Brush" Limited Edition Serigraph, Numbered and Hand Signed with Certificate of Authenticity. 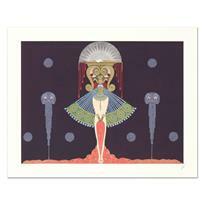 Erte (1892-1990) - "Salome" Limited Edition Serigraph, Numbered and Hand Signed with Certificate of Authenticity. 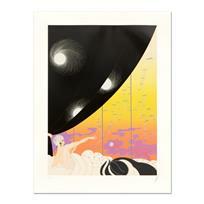 Erte (1892-1990), "Summer Breeze" Limited Edition Serigraph, Numbered and Hand Signed with Certificate of Authenticity.